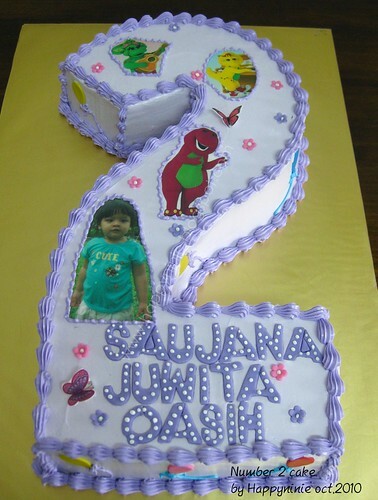 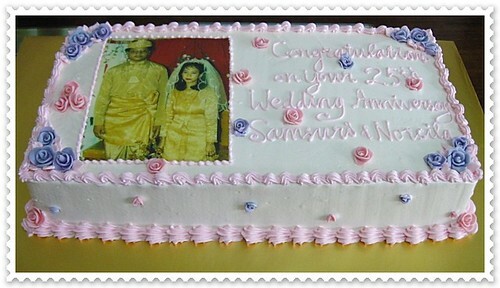 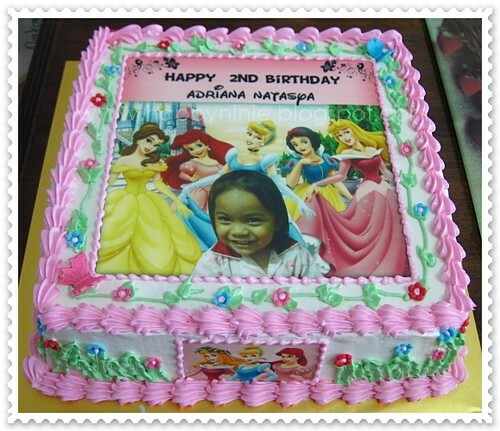 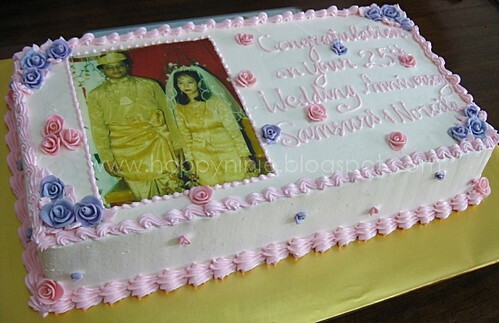 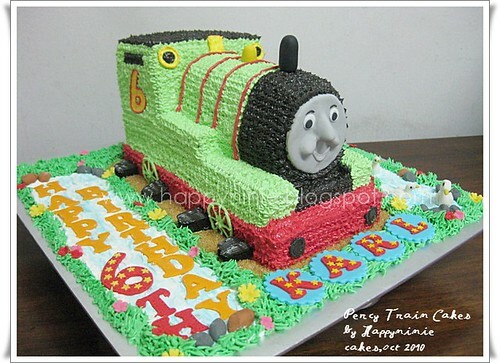 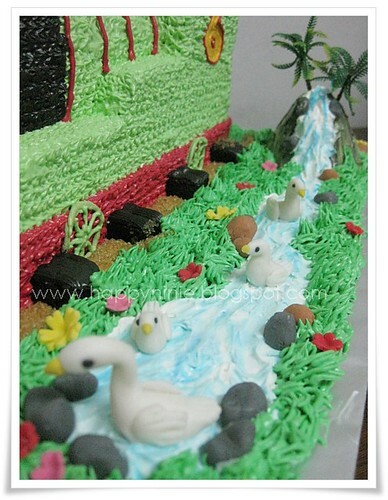 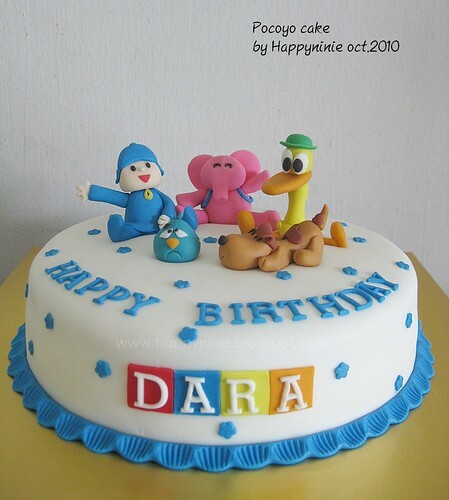 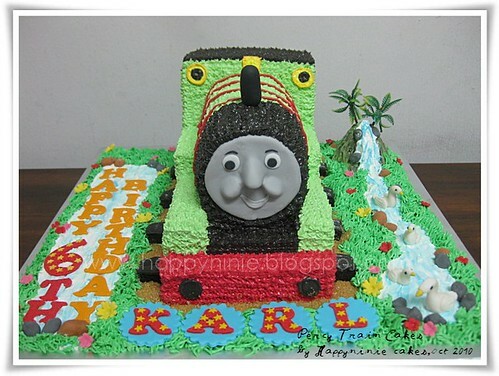 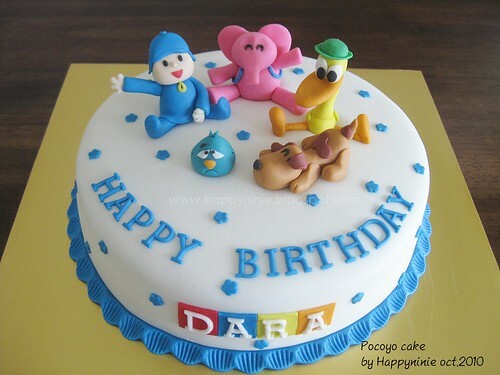 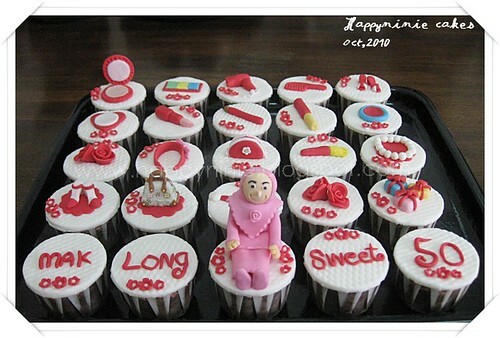 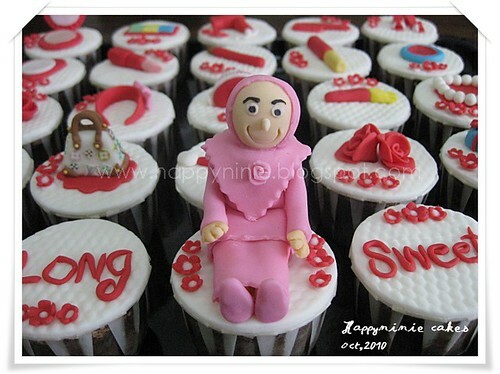 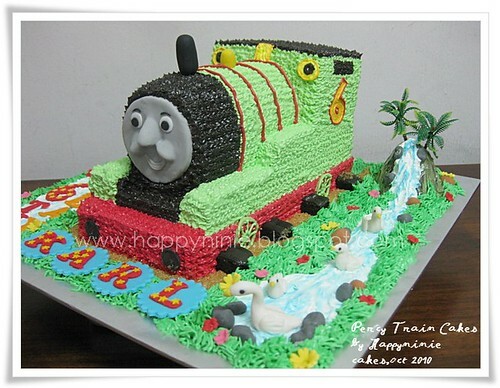 Repeat order from Puan Nora, Wedding Anniversary cake. 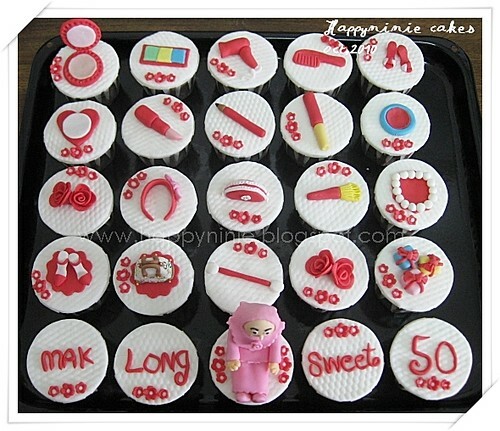 theme color light pink, purple with roses from fondant. 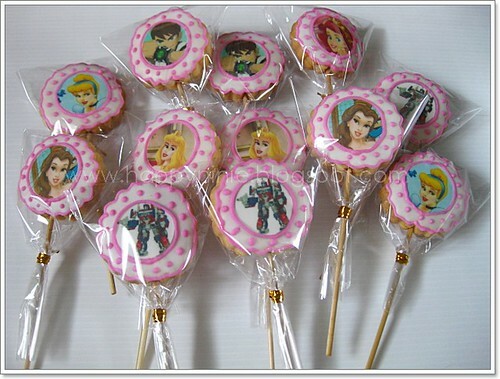 Cookies stick with edible image princess, ben 10 ,transformer for ALyza.